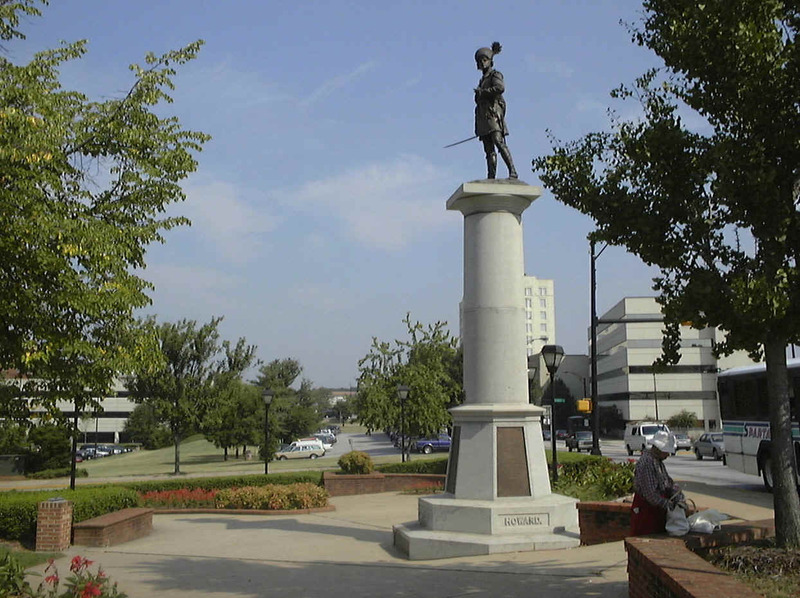 In the center of downtown Spartanburg, adjacent to Main Street, is the imposing monument and statue of Brigadier-General Daniel Morgan, the victor at the Battle of Cowpens in January 1781. 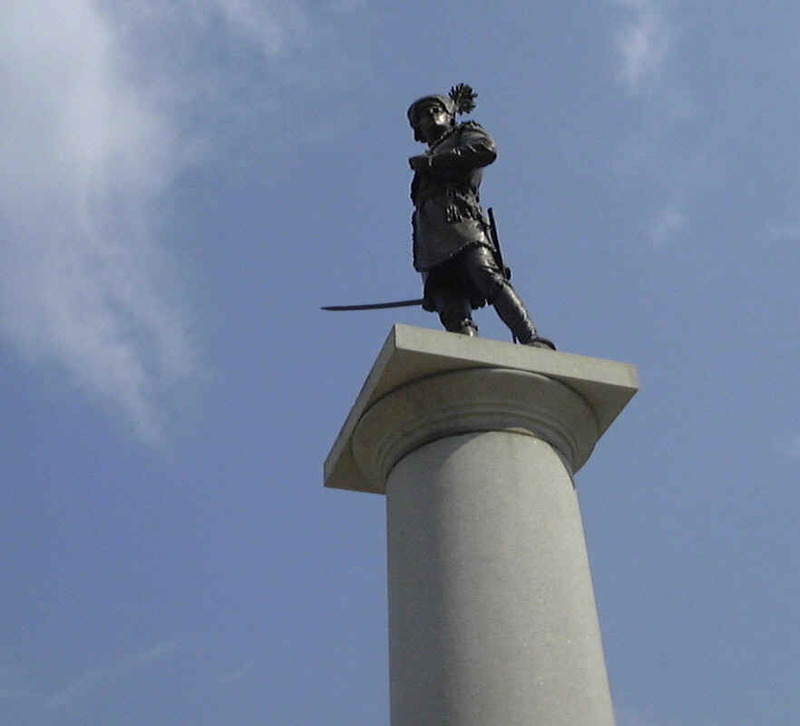 The monument was raised in 1881 as part of the celebrations associated with the centennial of the Battle of Cowpens. Daniel Morgan Monument - the Granite Shaft is 21 feet high. The bronze statue of General Morgan is nine feet high. Main Inscription on the Morgan Monument.